The exterior of your home should be attractive and efficient. A well insulated door is one of the most important pieces of a high quality Green home. Doors are subject to constant use and are expected to keep your home protected. Southland Custom Homes offers several options for exterior doors that look great and keep energy costs down. These doors provide an attractive alternative with quality insulation to keep your home warm in the winter and cool in the summer. Using the best materials is necessary for constructing a door that will withstand constant use and keep your home safe and secure. Our exterior doors are made using stained grade insulated fiberglass and embossed steel to give you a durable and attractive solution. These doors are easy to seal and require less maintenance than traditional wood doors. Steel doors are also resistant to rust and are highly recommended for areas that experience severe weather and high winds. For your patio, a sliding glass door with Low E insulated glass is a great option to get the natural light you want without losing insulation. Steel and fiberglass doors are an excellent choice for keeping the cold air out in the winter and hot air out in the summer. Steel exterior doors are built with superior insulation to lower heating and cooling costs and increase the energy efficiency of your home. An additional benefit to a steel door is that it can be recycled. Many doors available for purchase are actually made form recycled steel. Fiberglass doors are the best choice for those who want the appearance of wood, but prefer a more energy efficient option. These doors are extremely durable and can be stained to create the ideal look for your home. Both steel and fiberglass doors provide superior insulation for your home. These exterior doors can stand up to the elements for an attractive and durable solution that will save you money. 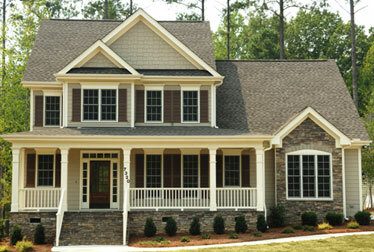 Southland Custom Homes are the best choice for green home builders in Georgia. We are here to build the home of your dreams and supply energy efficient solutions to meet your needs. Our insulated doors are a great option for sealing in temperature and cutting back on energy costs. For more information about our custom green options, contact Southland Custom Homes at 1-866-56-BUILD or visit our website at www.southlandcustomhomes.com.